We have put ourselves on the wrong track, forgetting the essential part of our lives, which is our wellbeing. We have left ourselves behind and allowed the endless demands of work and life -- in the form of deadlines, emails and endless meetings -- to sweep us away. Your words and thoughts can guide you to creative solutions when challenges occur. Bringing mindfulness to the words you speak is an important aspect to creating a life truly worth living -- where you are not merely surviving, but really thriving. The moment of the epiphany, the actual a-ha, brings immediate conceptual clarity and certainty in the mind. But to manifest that knowledge into changes in the physical and practical areas of one's life takes time, moves more slowly and is a continual and at times lengthy process. When you feel stressed, notice it, admit you're stressed out, then choose to switch your focus. If you do, your story could have a happy ending. The corporate world -- as part of orientation 101 -- needs to ensure that young employees understand that building an amazing career will only worth if they are healthy -- and with a good heart --- to enjoy it! Chronic, unremitting stress takes a heavy toll on our health. Over time, it can lead to burnout of the adrenal glands, making it impossible for your body to respond normally to the stresses of life, leaving you feeling tired and crummy most of the time. As we head into the Labor Day weekend, many Americans are looking forward to some well-deserved time off and relaxation. From a health standpoint, nothing could be better, especially if you're one of those people who make a habit of burning the candle at both ends. Over the past year I've learned that stress is not only unnecessary, but that being happy and stress-free actually lends to a more successful career and personal life. Every job carries a certain -- even healthy -- level of stress. A little bit can motivate you, but a lot can wreak havoc on your health. And since you spend so much of your time at work, you're likely experiencing a lot of your stress there, too. Having produced daytime TV for 17 years, I know from experience that people come on talk shows because they're in conflict with the way things are and are searching for answers. Those same reasons led me to mindfulness meditation. When we let go of regrets we open up space within our being. This space then has the opportunity to bring creative endeavors into our lives. The present moment becomes realized as we release ourselves from the chains of the past. When most people think of "fitness," they think of big muscles, speed and agility, or ideal body weight. But our definition of fitness needs a makeover. True fitness needs to include emotional and spiritual well-being, which provide the foundation for attaining a fit body. Stress is always the forgotten health hazard, with no social or political constituency to champion it. Let's make stress prevention a normal, covered service and insure that everyone has the tools to avoid adaptation to self-destruction. Now in the healing process, and as an advocate for managing work stress in a conscious way, I wanted to share a few lessons that I learned. First, work-life flexibility and acceptance are the greatest keys moving forward when sudden acute health care issues arise. There seems to be a trend here. Illness and stress. Spending wild amounts of money and stress. The culprit behind so many of our health problems is staring us in the face. Want to cut chronic diseases and health bills? Start with stress, the crisis at the heart of the health care crisis. Learning to effectively cope with stress can not only help you feel better on a daily basis, but also protect your brain from the damaging effects of stress to preserve and maintain cognitive function throughout life. Here's how. Constipation 101, Part II: You, Improved! Identifying a food you react to can be more challenging, since it's possible to have reactions that occur one to two days after eating something. In addition, when we eat a food frequently, we often cannot recognize the symptoms it causes, since we're too used to them to identify them. When you're experiencing stress, your impulse might be to power through, freak out, or stick your head in the sand. Bad habits such as overworking, smoking, or overeating can perpetuate the stress reaction. Here are some healthy tips on how to manage your stress before it manages you. The operative word here about stress is that it is a perception, also known as a thought or point of view. There are objective stressors, to be sure. But how these affect us determines our body's stress response. 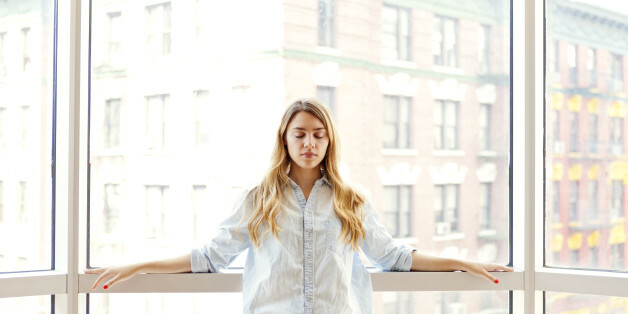 Prevention can allow us to build up little moments of calm throughout our day that we can draw from when we feel ourselves tensing up or revving up. Try taking revitalizing little breaks to increase that pool of calm inside of you and remind you that life is not a race. Can We Predict How Stressed Out You Are From The Kind of Car You Drive? We set up a tracking poll in February to gauge the current level of stress among the U.S. adult population on an ongoing basis. Now, as National Stress Awareness Month draws to a close, we wanted to see what our polling database could tell us about stress and its related factors. It's this ability to stay connected, to stand by each other, that has kept the people of Boston strong during one of the worst weeks in the city's storied history. But they're not the only ones who have the ability to shore up resilience. You do. I do.